It is remarkable to consider the number of inspirational projects that are in process or are being planned, ever day, in the UK. We would love to help them all, but alas, our purse would not stretch that far. So we have decided to try and focus on a few parameters, as described in the ‘criteria and guidelines’ section of the website. 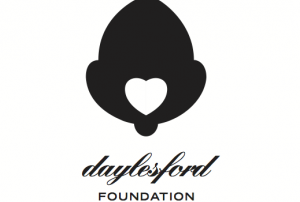 But even then we are still forced to distinguish the projects that best fit the priorities of the Daylesford Foundation. Selecting the right projects to support is a difficult process. So to help us we have created a Grants Board that will hear applications and make recommendations to the Trustees. We are excited to announce that to form this Grants Board there will be two new faces to the Foundation; they join us as highly regarded experts in their respective fields. Ewan Venters, CEO of Fortnum & Mason, will lend a commercially savvy perspective to the Board. His own entrepreneurial force and love of food was born in Fife, where at the age of 11 he was already selling buns and cakes. Sustainable food has to sell, so we are excited by Ewan’s influence on the board to identify those projects that have both impact but also an economically viable future. Rose Prince also joins us. Author, cook and journalist, Rose has educated many of us on the delights of good food, grown and produced properly, via her many newspaper columns and inspirational books. Rose regularly writes about sustainable food on a modest budget; practical solutions that we want to tease out of our applicants. Watch this space to hear the exciting outcomes of our first Board meeting, where we shall be discussing the first round of grant applications.